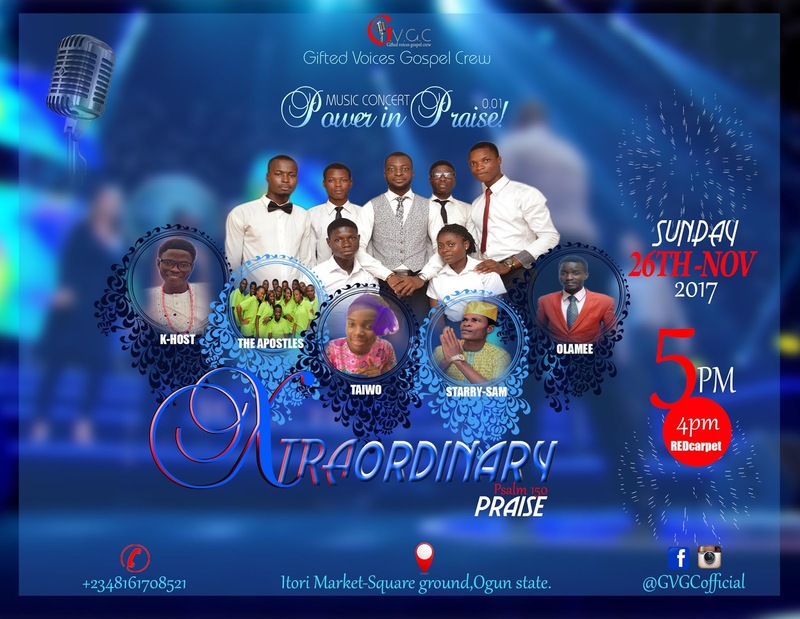 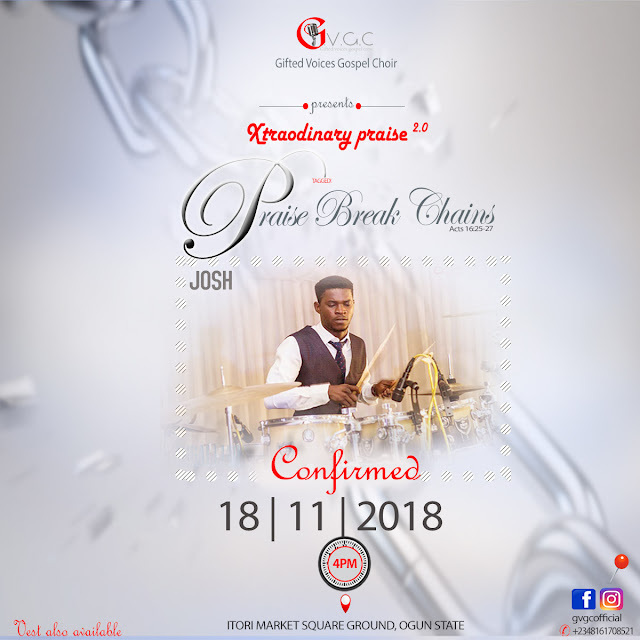 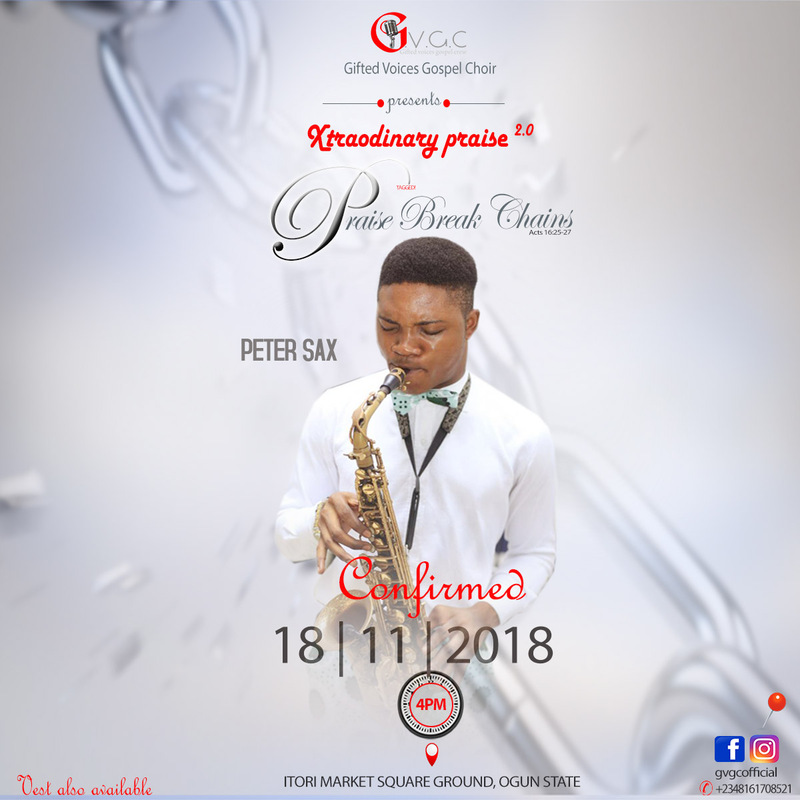 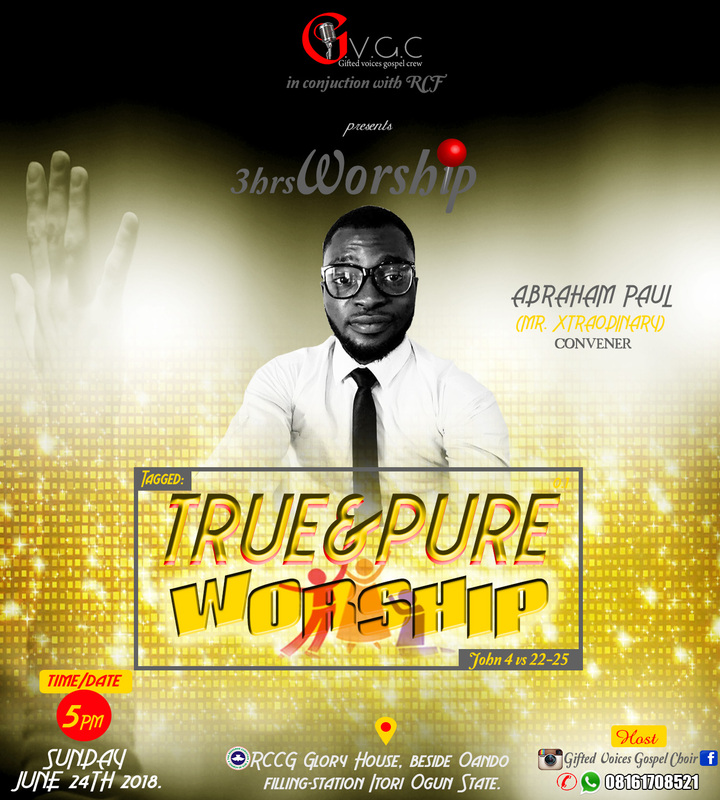 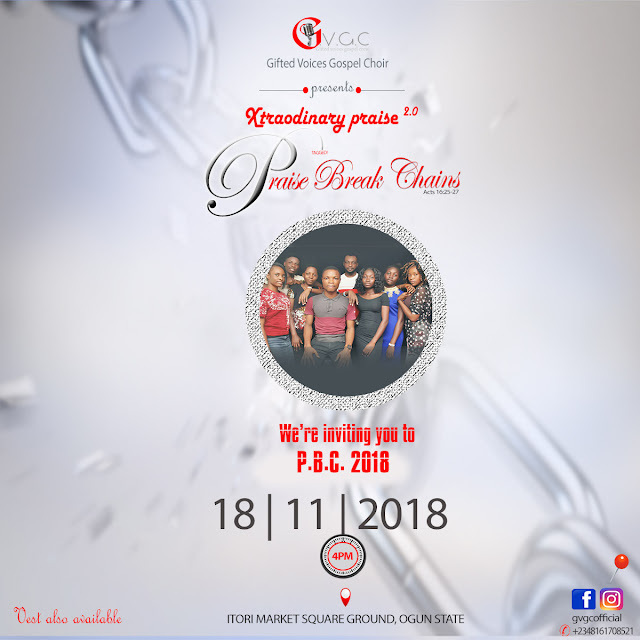 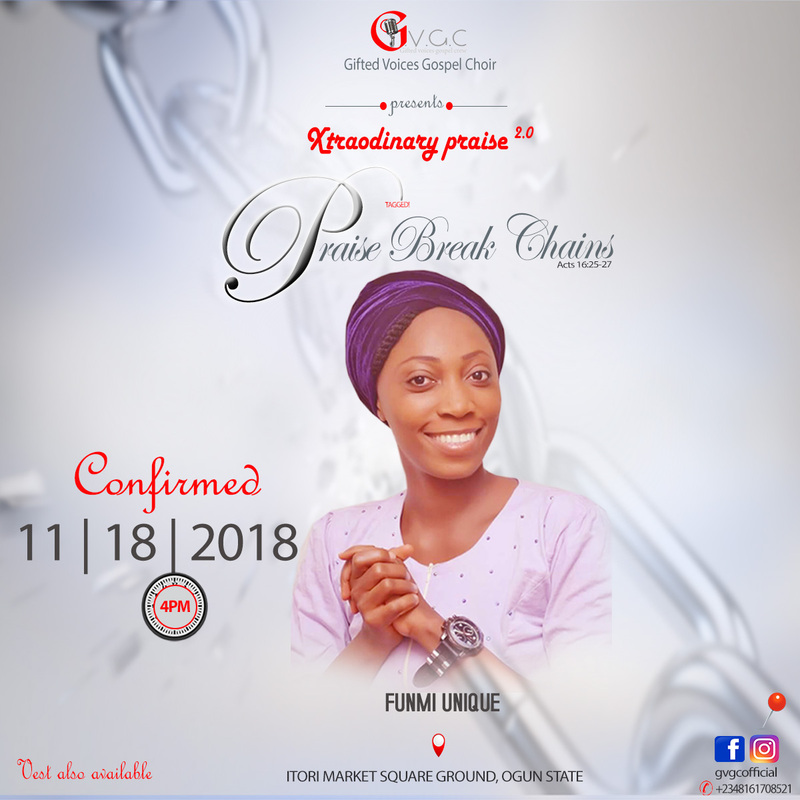 The Gifted Voices Gospel Crew which has continued to set the pace as the most creative and enduring group in the land of Abeokuta and its environs in gospel genre, on account of their staying power for another edition of her annual concert slated to slam the city of Ogun state on the 18th November 2018. The buzz of the concert that attracts different church faithful’s and fans of the gospel singers had set the social media on course as some of the gospel singers in Nigeria and Africa at large are set to lead worshippers to the throne of Grace and bring God’s intervention on our land for healing. 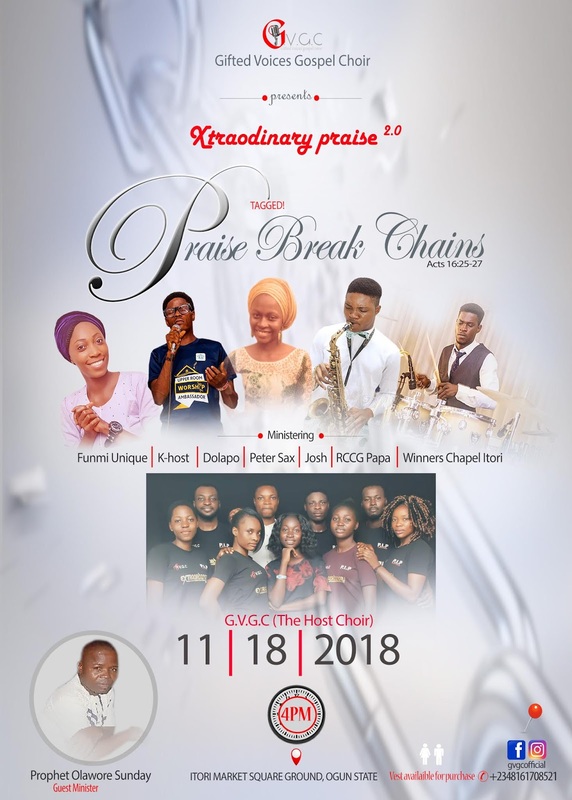 Our mission and vision are to win souls to the kingdom of God and to ignite and bring about exceptional worship experience, leaving behind a remarkable blueprint in accordance to the word of God. The ministry presents a variety of music to include: Traditional Gospel, Hymns, Contemporary Gospel, and Praise and Worship.